If you arrive in Portugal without a bicycle then, unless you plan on buying a bike, you’ve got two basic choices: sign up with a tour company or hire a bike and head off on your own. PLEASE NOTE: Although we run guided tours, Pedal Portugal does NOT hire bikes or arrange bike hire. With the listings below, except where there are comments in italics, these are for information only and are not recommendations. However, we are always interested in feedback from anyone who has any personal experience to share – or listings for bike hire companies not already on this page. Bike Iberia – based in Lisbon but offer to deliver bikes anywhere in Portugal and come with a TripAdvisor certificate of excellence (although some reviews on the same website are more mixed). For information on the bicycles they offer, see here. Cycling Rentals – also with a TripAdvisor certificate. Offers road/mountain/touring bikes delivered anywhere within Portugal or Spain. Recommended by Pedal Portugal: This is the company we use for all our guided tours. Decent bikes, fair prices and excellent customer service. We’ve now had dozens of their bikes for our riders and have nothing but praise for the company. Europcar – no this entry is not a mistake! The car hire firm has now moved into offering ‘two wheels’ hires at a number of location. The firm has a wide range of bikes (although not all are available at every depot). Bike hire is now available at locations across the Algarve, plus in Cascais, Lisbon and Porto. 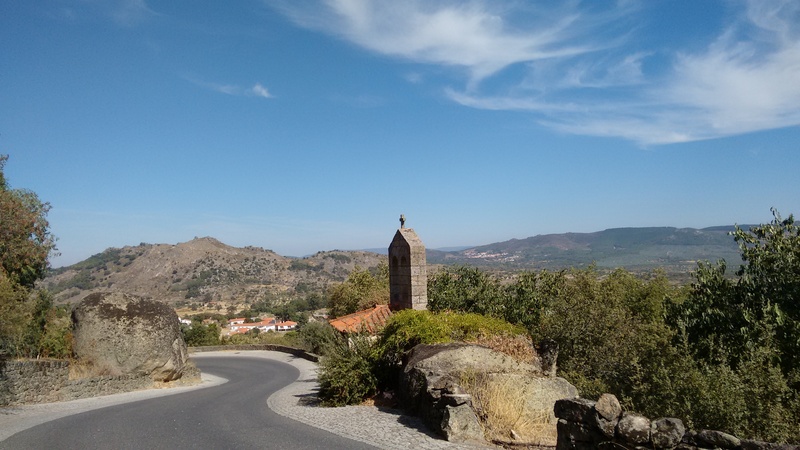 Go Cycling Portugal – newcomer to the market. Promises road, hybrid and mountain bike hire, delivered anywhere in Portugal. Fold’n’Visit – on the northern side of the city centre. Offer bike hire – including folding and city/hybrid models – as well as one-day tours of surrounding cities and longer tours of northern Portugal. Vieguini – in the centre of Porto, only a stone’s throw from the Douro and historic waterside area. Offers tandems, mountain bikes and city bikes, plus child seats, locks and helmets – as well as scooters (mopeds). See also entries under National companies above. Biclaria rents bikes from their shop in the town and also runs tours of the area. Portugal Rent Bike – is based in Cascais, just to the west of Lisbon and handy for the Sintra hills. Has road, city and mountain bikes to hire, including models for women. Belem Bike – also known as Biclas.com – right on the waterfront on the way out towards Belém. Various bikes to rent. Lisbon Bike Rentals – right in the centre of town near Cais do Sodre and the Time Out Market. Has a selection of road and mountain bikes (for some reason the Boardman Comp is in with the fat wheel MTBs!). Also run Lisbon bike tours and offer a bike-packing service, including transport to the airport. Funbike – based in Sintra, just outside Lisbon. Despite the name, they have ‘serious’ mountain bikes and road bikes for hire. Also have a shop at Boliqueime in the Algarve that’s been recommended by a couple of fellow cyclists. Alentejo In Bike is run by local cycle shop Galácio Bike and has e-bike, MTBs and road bikes for hire. 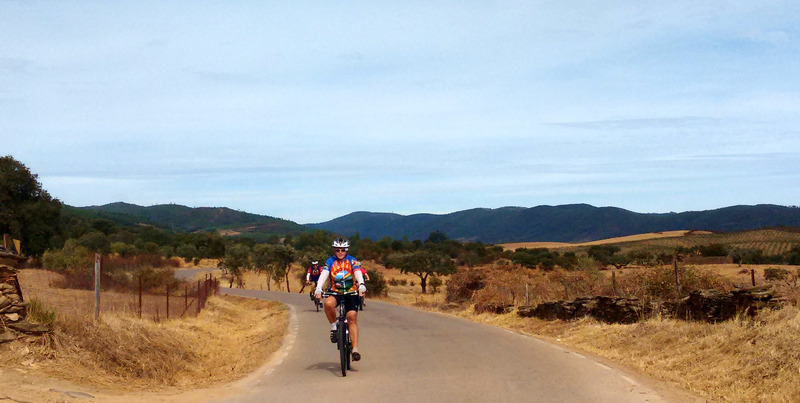 Also runs bike tours out of Évora. D-Bike – is a (good) bike shop that also has road and mountain bikes for hire. Sunny Cycling – based in Évora, has Dutch hybrid bikes and kids bikes. Also has ebikes (not mentioned on website) and offers tours (mostly self-guided) of Évora, the Alentejo and other parts of Portugal. 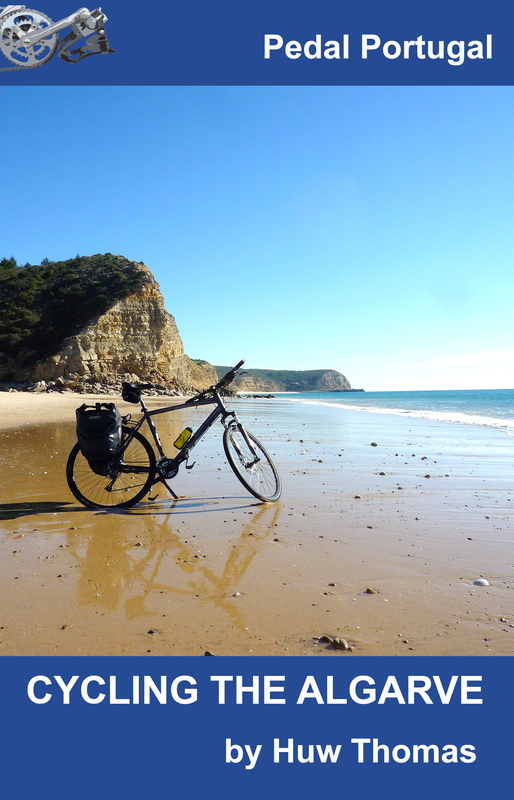 Algarve Bike Hire – based in Armacao de Pera, a small town to the west of Albufeira. Has road bikes and tourers as well as hybrids, mountain and city bikes for hire. 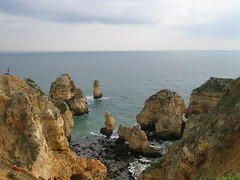 Offers a delivery and collection service for the whole of the Algarve (free for immediate area, charge for wider area). Lisa Bikes – has road, MTB and ‘touring’ (hybrid) bikes to rent (including children’s bikes). Also has electric bikes. The company also offers a range of cycle tours, both based based from one location or touring the region. MTB Algarve – despite the name, rents road, city and e-bikes as well as downhill machines. Centrally located, near the bus station on Av. da República. Also runs off-road guided tours in the area. Bike Sul – has outlets in both Guia and São Bartolomeu de Messines. Stocks KTM hybrid, road and mountain bikes. One, three and seven-day rates. Easy Go Electric Bikes – a new company based in Lagos, free delivery of electric bikes within a 10km radius. Bikeland – Trek and Scott dealer right on the N125, about 8km SW of Loulé (closer to the town’s railway station). Has a range of bikes to hire. Close to S-Bikes (see below). Martin’s E-bike – in Almancil, due south of Loulé. Despite the name, sells and rents both e-bikes and normal bikes. Has a range of machines, including MTB, road and hybrid/trekking bikes. MegaSport – based near Loulé (north of Faro) offers Giant road and town/hybrid bikes – plus tandems (although these are more ‘fun’ rides than serious machines). Delivers free within the Algarve. I used the company in Jan 2015, renting two hybrid bikes that were perfectly adequate for a 65km ride into the hills. The staff were also very friendly and helpful (English-speaking). The depot isn’t that convenient – about 4km out of town on an industrial estate (not the location currently marked on Google) but we were given a lift to the station. S-Bikes – another one near Loulé (close to Bikeland), just off the N125 – has a range of road, MTB and ‘city’ bikes. MESSINES – see Guia above. Musette Bike – has opened a new base (June 2017) at Salema (between Lagos and Sagres) in addition to running bike rentals at Martinhal. Offers road and hybrid/trekking bikes, plus children’s models. Also offer regular one-day guided tours of the local area. Abilio Bikes – has a range of machines to rent by the day or month. I have added MTB ALgarve to the list. Your website does not say where you are based – it gives an address on Av. da Republica but no town! I came here and sorted thru the options. I wanted a road bike and I needed it to be delivered somewhere in Algarve. I picked FunBike and rented one of their pinarellos and one for kids. The roadbike was in excellent conditions and took me far without a problem. Given that the place I was staying at was somewhat in a remote location, I have to see I was flexible with their delivering times – that is, they showed up earlier for delivery and late for pick up. I had planned for that anyways. Point being: 5 out 5 for the bike service. Thanks for the update – always good to know about happy customers! I just want to second the recommendation for Avalanche Bike rental. I rented a bike from them last week and both the bike and the service were excellent! Rui both delivered and picked up the bike (in two different locations) to suit my schedule, and gave me good advice on where to ride. All for a very reasonable price. Will definitely rent from him again, and will send my friends there too! Thanks for the tips here. Amazing riding in the Algarve, I’ll be back! Thanks for the feedback – much appreciated. I’ll add on your recommendation. We at Riactiva (bike rental / hire) just 80 km south of Porto, and near the City of Aveiro, have our watersports station with a quite nice variety of Bicycle to rent both to the ocasional tourist or family group, but also to the more dedicated rider. We try to provide a very flexible and personalized rental service, along with a extended radius delivery. We can provide great trips and suport on our local region, so travellers can enjoy the most of their vacation. Hi Jaime. Your company is now listed. Hi Mark. Sorry but I’m not a competitive sort myself and honest answer is I’ve no idea! Hi there, I am planning a cycling trip from Porto to Lisbon in late August and will be needing to rent two road touring bikes. I have contacted a few of your recommended bike hire companies and have run into a common issue: they only deliver/collect the bikes from hotels. We are planning to stay in Airbnbs in the main cities (Porto and Lisbon) and camp along the route. Do you have any recommendations for how to get around this issue? Hi Mai. Sorry I don’t – all the companies I know of need somewhere a courier will go to. I’ve only worked with Cycling Rentals but if that’t their policy I don’t know of alternatives. There are plenty of cheap guesthouses and hotels that are perfectly decent – can you not use them for the start and finish? At the end, if using Cycling Rentals you might be able to deliver the bike direct back to their base at Sintra. Also, do you realise how hot and busy the coast will be in August?! Hi Huw – I spoke too soon! Cycling Rentals responded to us and were very accommodating about finding an alternative solution (i.e., dropping them off with a business partner.) AND yes, we have taken the heat into consideration – we have done tours in similarly warm climates before and found that as long as you start earlier in the day it’s manageable. Cheers and thanks! Not sure following the N125 is the most scenic route! Depends a lot on time of year and traffic levels. Huw I find October very reasonable, of course getting onto the M class roads better and there are plenty that follow the N classified roads …. Example being the road from Lagos – Luz – Burgau along coast. The N268 up to Carrapatiera well worth a trip along from Vila DO Bispo also. Suggest you contact one of the national hire firms or one based in Porto or Lisbon. I can recommend Cycling Rentals for bike hire but I don’t know about support vehicle and driver – best to ask them direct. Hi You also have swiftmomentumsports based in Carvoeiro. I used them while staying in Sagres last year and the bike was in tip top conditions. The company is owned by a ex-pro cyclist and he helped me with some routes. Thanks for that – I’ll find more details and add them to the list. Cheers! Sorry, the only ones I know are the ones on this page. There may be more – I would suggest a Google search. hello I would like to know if we can rent bikes from porto and return them in lisbon and how much does it cost on average ? I’m sure it is possible but you would need to contact the bike rental firms direct. I suggest you contact either firms based in Porto and Lisbon or Cycling Rentals, as I know they deliver/collect anywhere in Portugal. Price will depend on length of hire. Excellent service and range of bikes offered by the team at Avalanche. Drop off and collection times were as arranged. Full support kit provided – tube, levers, pump. LP Sensium in perfect condition (it was actually a new bike). Perfect gearing for the hilly terrain of the Algarve. Rui’s advice on the best/safest roads was very much appreciated. I would highly recommend hiring your bike through Avalanche. Thanks for the info, Richard. I will add your recommendation. Great Richard, both their Aluminium (Lappierre) and Carbon (BH) roads bikes are excellent and geared properly for the region, this is where they differ from the bigger rental sites in Algarve IMHO, If you are a road enthusiast Avalanche are the rental company to look at. I will be using them again in October 2016. Small request to all guys using this excellent site, please post any Strava/Garmin routes you make for others to see afterwards! Guys FYI ….. there have been some great route maps recorded for the Volta Ao Algarve 2016 race last week: http://voltaaoalgarve.com/en/etapas/etapa-2/ go below elevation and expand map to whole screen to give you an idea of some routes to try away from the coast. Vila Do Bispo up to Aljezur look like a nice route to explore then along to Monique. Hi I am looking to hire a carbon road bike in August I will be staying in a village close to Peniche. Is there anywhere nearby to hire or would it be easier for me to pack my own? Hi Andrew. Sorry – I don’t know of any local bike hire firms. I know Cycling Rentals on this page will deliver anywhere – not used Bike Iberia. otherwise BYO might be simplest! Hello. New in this game, and were thinking about hiring bikes in Porto to go up or down Douro. Sadly I find that its a bit difficult to take bikes on public transportation in the area, definately on train. Does someone have any knowledge about this ?? Huw and fellow Velo fiends …… Algarve an amazing place to cycle …… also would like to say thanks to Rui and all at Avalanche, great bike hire team and great tips on where to go. I have also included Strava maps for those going to area with some comments. General advice, stay away from the N125 as much as possible, esp. around coastal boom towns like Albufeira, Vilamoura etc. head inland to the quieter E and M roads. On the whole the quality of the back roads is excellent. Main N roads can be pretty chewed up by coaches/lorries but in a lot of cases they have a tarmac hard shoulder one can use quite safely. (I felt good on the shoulder from Lagos-Vila De Bispo in most cases and rider can judge the traffic volume themselves). Avalanche bike rentals …. Lagos Luz Bargau Salema 20% leg trembler! Explore along the coast from Lagos-Luz and avoiding the N125, note a 500m section of cobbled causeway on this route I was concerned about punctures on 23mm tyres. But worth visit to Salema for the 20% hill! Wonderful “national park” which is very reminiscent of Colorado, mostly gradual climbing with some big kicks, my favourite days cycling on this holiday. Mostly used the N125 and hard shoulder was of good quality. A good circuit here could also include heading north from Vila De Bispo to Aljezur on the N268. Then heading East to Marmaelte/Monchique for a 100mi/160km day. Head to Cabo De Sao Vicente as a must and plenty to see. Note trip to Sagres Fort is across a cobbled stone section of pave I avoided this. Vilamoura Boliqueme and beyond with Stuart and the A team van! First day of heading north above Vilamoura, nice climb called Picota up to a radio mast. Nice roads (see final “loop”) that were so good we came back next day. Great circular route from Paderne, and I would use this location as a start/finish if you have a car you can put bike into. The “main roads” between Tor/Benfim/Alte were very quiet and of excellent quality. Another option is to head to Salir then head to Benfim. Excellent collation of information Huw, I have subscribed to your feed and I am sending details to other velocentric friends, I have used MegaSport a few times in Villamoura but will be trying a couple of others … might see if Avalanche can deliver to Lagos! Anyone have recommendations of good routes around Lagos would be great to hear! Thanks. Please keep me posted with any feedback on bike firms or routes – it all helps! Will do Huw, I am hooking up with Rui and Avalanche next week! 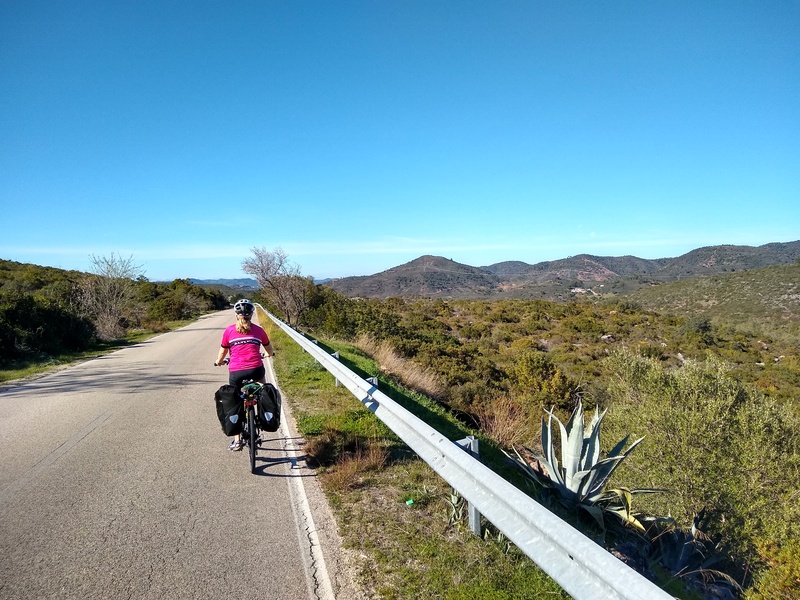 try the country roads route up to Monchique, really tough ride through some great scenery, passing smallholdings along the way from Lagos but a sense of achievement – about 3+hours up and 1.5 hours down !! Keep off the main roads – our route was virtually traffic free. Any suggestions on where to hire road bikes which deliver to Lagos ?? Been reading this post and saw you made a ride from Lagos to Monchique. Will be heading to Lagos next week and would like to make a bit of climbing and Monchique seems a good spot. Do you have any link to a Strava ride I could use as itinerary ? Hi Rui. I’ve added the company’s details to the directory. Thanks, Huw. Lisabikes, http://www.lisabikes.com,, based in Estoi, rents out quality bikes, from road to MTB and touring, for example Specialized Expedition Sport. I have seen their bikes in places like Carrapateira, Raposeira and Salema in Western Algarve. Everybody happy with Lisa! 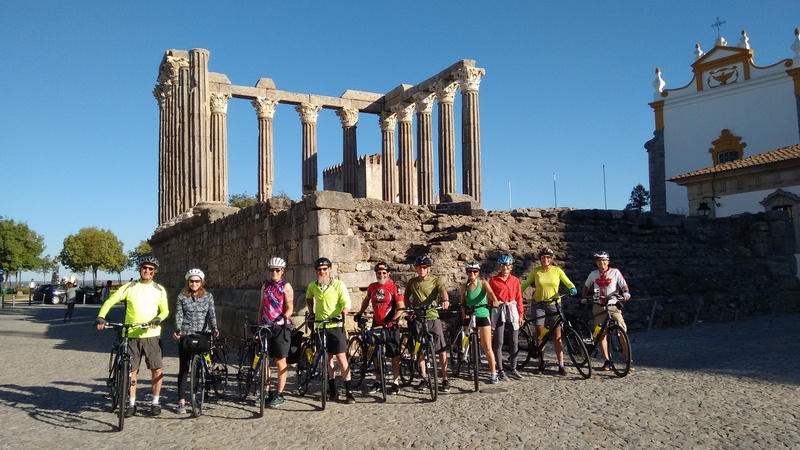 Their website informs: ‘we have many years of cycling experience in the Algarve, and we welcome the opportunity to share this experience and show you the real Algarve.’ Lisa also does guided tours. Thanks, Michiel. I’ll check out the link and add them to the list in the directory. Thanks Daniel, I will add them to the directory. Hi Huw, just endorsing Bike Iberia for touring bikes (Cannondale) for those long journeys in Portugal and Spain. They pick up and deliver and their service has been excellent. Thanks, Phil. Really useful to get the feedback. Rcicla also has a vegan café with homemade cakes and locally brewed beer… and no I’m not affiliated, just a customer! Viktor primarily rents ‘tourist bikes’, comfy ones for a stroll along the river, for €5/day, but he has an Aladdin’s Cave of bike parts, and would be happy to build you up a touring or road bike and rent you that! Thanks for that. I see you’ve spotted the Bike Iberia entry but maybe I should put them under Lisbon too. For people based in the central area / flying in to Lisbon, there are several hire options in Lisbon. I would have to look in more detail to see what there is in the way of proper touring cycles, but there are several dutch-bike-type hire places, from €5/day at Rcicla near Santos! If you would like me to find out more, let me know. Hi there – extra info is ALWAYS welcome! What an amazing wealth of information you’ve put together here – thank you! I’m a novice bike tourer with – this year – a limited window of time. So my question is – is there ANYWHERE in Portugal that’s rideable – temperature-wise – in the first two weeks of September? Depends on how hot you can handle! I would certainly avoid southern half of country…and probably the interior anywhere in north. If you can limit riding to mornings then anywhere is probably manageable. But we’ve done tours starting in LATE September last three years and had afternoon temperatures well into 30s. So, probably best option is to delay the tour – if that is an option.